The G.Wiseman Sodbuster ($330) is sure to please anyone, who values high quality, craftsmanship. 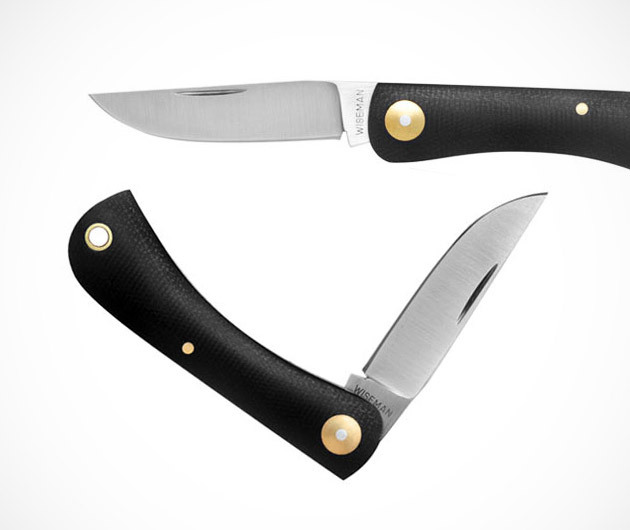 Built by hand, this classic, sharp and compact pocket knife features a 2.75-inch D-2 tool-grade, rust-resistant steel blade, perfect for cutting and whittling. The blades are fixed together with a durable brass washer and a steel pivot pin. The G. Wiseman Sodbuster is available exclusively from Kaufmann Mercantile.